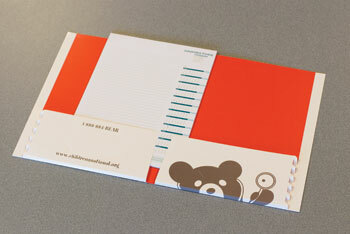 Business card slits come standard as shown. Not all die cuts available with all products. Call for details.